C. Boonyarathaphan 1993 18 72 6812 35 minutes from downtown. 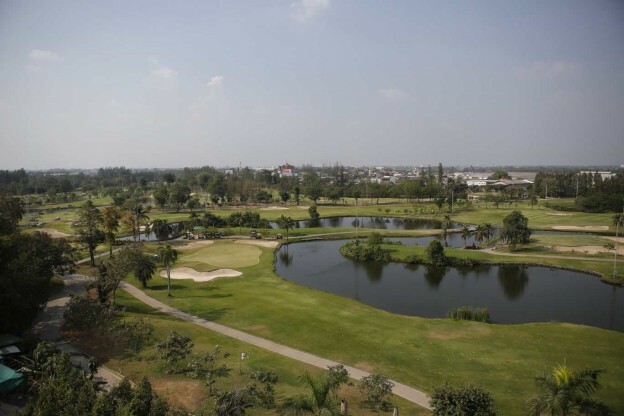 Designed by Chird Boonyarathaphan and opened in 1993 Bangkok Golf Club is one of the most delightful courses within the Bangkok suburbs, offering golf on a cleverly designed course with extremely testing fairways and greens. Despite its central location, just 40 minutes from the city center and 30 minutes from Bangkok’s international airport, this course has a refreshing rural appeal, due in part to the many species of waterfowl that inhabit the numerous lakes and ponds. Highlights of this challenging course include the par four 14th whose island green is not for the fainthearted. The clubhouse is excellent and features Thai massage, a well stocked golf pro shop and a choice of international Italian and Japanese restaurants.